Since the end of 2015, property values have been heating up throughout China. In over 15 cities, home prices increased over 20% since September 2015. Although home prices have been steadily climbing for over a decade, the past year recorded the largest jump since 2010. Home prices in Shanghai, Shenzhen, and Dongguan recorded over a 40% (source in Chinese) increase in less than a year, which makes property value in China’s largest cities comparable to international hubs such as New York and London. However, home buyers do not get nearly the value for their money. Homeowners in China only enjoy the right to use the property on long lease terms. Most residential property contracts grant a 70-year right of use, and the policy for renewal terms has not yet been clarified. These lease terms not only determine the limited rights of owning a home, but also dictate the quality of construction. The recent sharp rise in real estate prices was triggered by loosening measures introduced during Q1 of 2015. On the one hand, policymakers want to clear the excess inventory of surplus properties. According to various sources, there are an estimated 64 million to 1 billion vacant apartments across China, the vast majority of which are located in less economically-stimulating cities and towns. On the other hand, in large cities where there are more job opportunities, overcrowdedness and housing affordability are top concerns. Since March 2015, there were two rounds of interest rate cuts and loosening measures on down payment and property transaction regulations. Such loosening measures, meant for de-stocking vacant homes, evoked the fastest climb in property values throughout China, and mostly manifested in large cities. 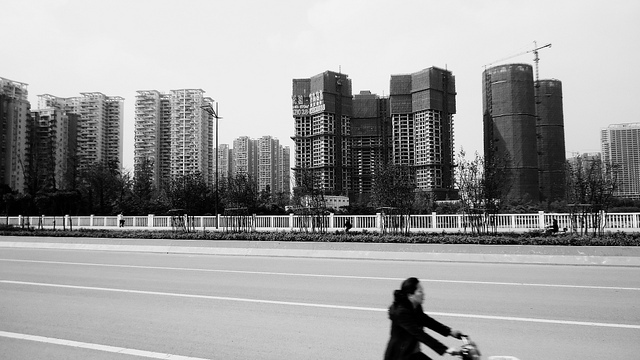 A few reasons are often cited to justify that this blow-up is grounded in the real demands for housing in major cities – 1) Rapid urbanization continues to drive rural population to urban areas, 2) the nation’s GDP still grows at a steady pace, although less than before, and 3) the recently announced two-child policy creates higher demand for housing. Beyond the real needs for housing, the investment value of real estate largely inflated the housing prices. Property investment has been a trusted way to get rich quick for many Chinese investors, and the profit chain has amplified any increase in housing price that is rooted in real housing demand. People in China trust real estate investment because it has never failed in the past. There have been many times when people thought China’s property prices would finally come to a cooling period. However, the implementation of cooling measures to limit investment purchases never prevented prices from growing for very long. Following the surge in 2013, policies limiting investment home purchases mildly pulled down prices since the end of 2013. However, in less than one year, home prices recovered to historical highs and kept growing at an unprecedented pace. It is not only homeowners’ accumulated wealth from capital gains on their properties- there is also a chain of profitability from land sale, to developers, to the construction industries, to real estate agents, and many other middlemen in between. Today an average 2-bedroom apartment in Beijing or Shanghai is worth over 1 million USD. Although plenty houses remain unoccupied, housing prices have never dipped since the original commercialization of housing in 1978. Since China’s housing stock faces conflicting concerns, over-supply in some locations, and overheated in others, targeted policies at the local level may help ease the gap. Just this month, a handful of cities published new cooling measures, including Beijing which now requires the highest down payment of 35% for first time home buyers and Guangzhou banning owning third properties. These local policies are not yet effective due to the lack of a consistent network for home ownership across the country. Specific measures could be controlled at the local level as investment is nonetheless bounded by locality. Yet because registration networks generally do not communicate across geographic boundaries, real estate investors can easily find their next deal somewhere else. A coherent and nationally connected network could really help both local and the central governments to effectively implement mitigating policies.